ITS NATIONAL ROBOTICS WEEK AND KENT STATE UNIVERSITY IS SHOWING OFF THEIR ROBOTS AND MORE AT THEIR OPEN HOUSE. GIANNA REPORTS ON ROBOTS AND WHATS IN STORE FOR THE FUTURE. GIANNA? Its national robotics week and Kent State University is showing off their robots and more at their open house. 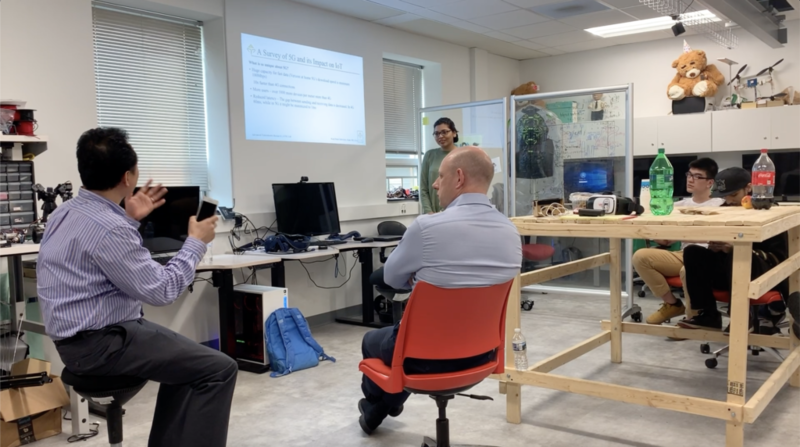 “This whole week is called national robotics week and we are combining that with our open house for our research lab which is the advanced telerobotic research lab,” said Irvin Steve Cardenas head researcher at the ATR lab. National robotics week celebrates all that has to do with robots and also trying to bring people into the evolving field. “Anyone who wants to learn anyone he wants to have fun look at our robots look into a virtual reality or just talk to our researchersand what it’s like to work in robotics lab,” said Cardenas. The Kent State ATR lab has been working on many robots of all sizes, but the biggest bot is the Telebot 2. 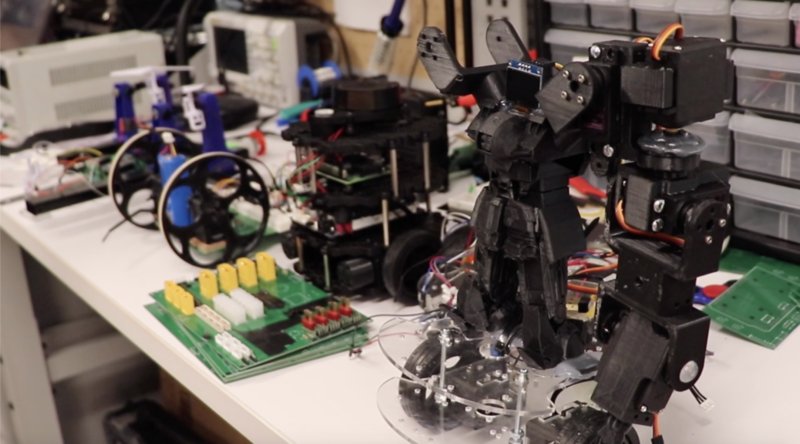 The lab competed with this bot in Tokyo last summer and is going to be there next big bot. 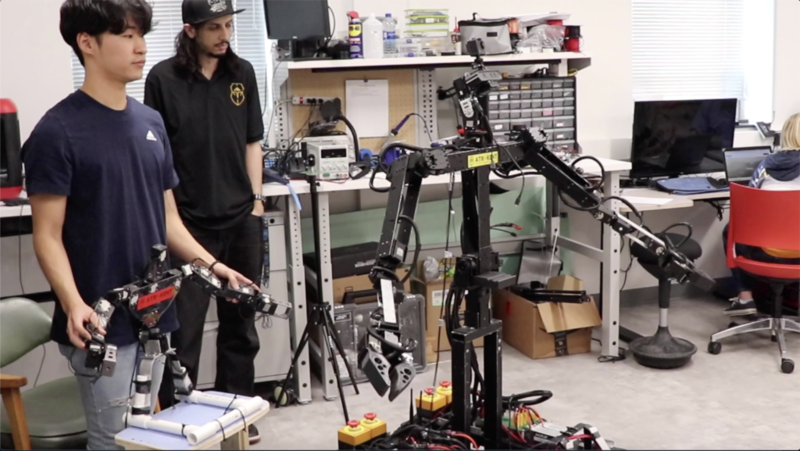 “The purpose of the robot is a disaster control or disaster relief robot,” said Alfred Shaker a PHD student at Kent. The robot was inspired by the disaster in Hiroshima. The bot is made tot be the first responder to an event that humans might not be able to help with or be in danger for. “Our goal with us is to kind of help assist human beings and not really replace human beings,” said Shaker. Most of the robots the students make are made right in the ATR lab putting countless hours to use. “We worked on the hardware and software and having the whole thing complete only two weeks before the competition,” said grad student Nate Kingar. Although, they say that building a robot from the ground up will take several months without help. “It is very challenging first of all this kind of technology is it’s not really new,” said shaker. Technology is always evolving and with that, the future of robots might be getting closer than we think. “You probably might not even have a car in the future you can use something like Uber in that money can be saved to have a robot to clean your house and do some other sort of things,” said Kingar. The future of robots starts with the students now, and the ATR lab pushes forward for it everyday. “What we like to do with our robotics lab is keep it open source so everybody can benefit from it,” said Kingar.